Joyful with a strong message of worship and praise; this festive choral will enliven any sacred gathering. 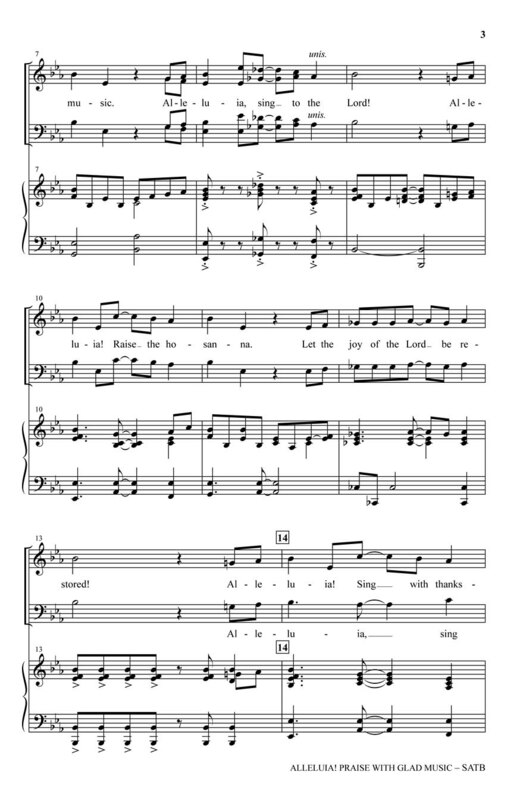 Based on the Psalms; the message of celebration is appropriate for sanctuary and concert hall usage. The syncopated opening theme is joined with contrasting lyric sections giving variety to the musical treatment. 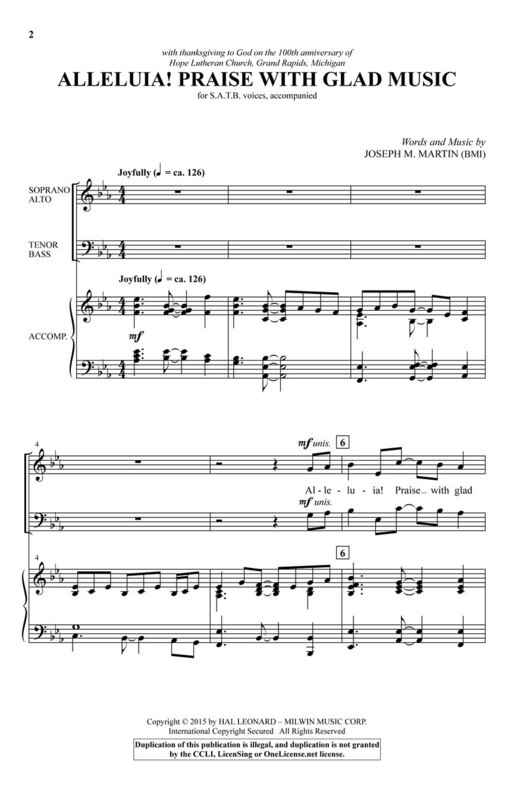 Call your choir to glorious purpose with this highly recommended anthem!